Airship 27 Productions proudly presents the 13th Volume in its popular series, “Sherlock Holmes – Consulting Detective.” It features five new mysteries. 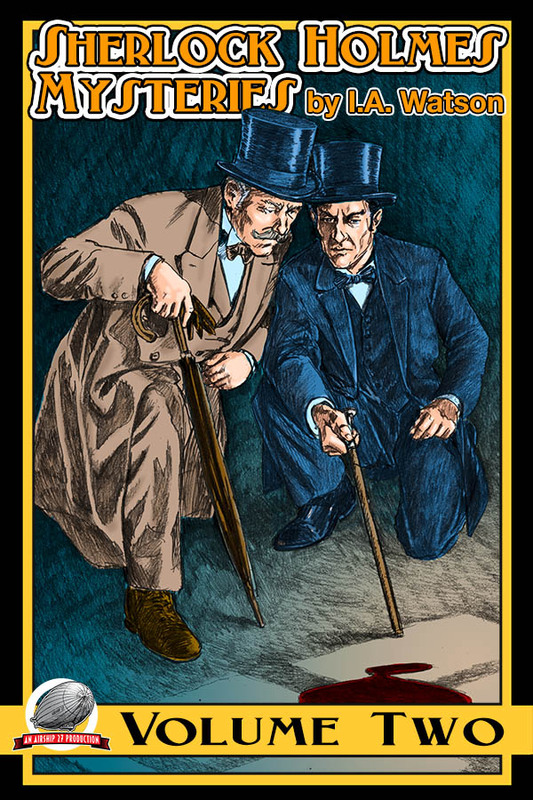 In their recorded exploits, Sherlock Holmes and Dr. Watson faced all kinds of mysteries; from the mundane to the most foul and insidious. They solved riddles involved with blackmail, thievery and murder, each with the same devotion to serving justice no matter the outcomes. In this latest collection of the bestselling series, Holmes and Watson will deal with three women all claiming to the heir to a fortune, the brother of an old foe seeking revenge and a severed head sent to their apartment at 221 B Baker Street. Writers I.A. Watson, S. Subramanian, Fred Adams Jr. and Dexter Fabi have created thrilling new adventures that will challenge the detective duo in the most bizarre ways ever imagined. Quality stories and beautiful artwork, the hallmarks of Airship 27. Available from Amazon in paperback and soon on Kindle. BOBBY NASH RETURNS TO THE SOUTH BRANCH SCRIBBLER! CAN HE SURVIVE THE 4Q INTERVIEW? Oh, it's good to be back! 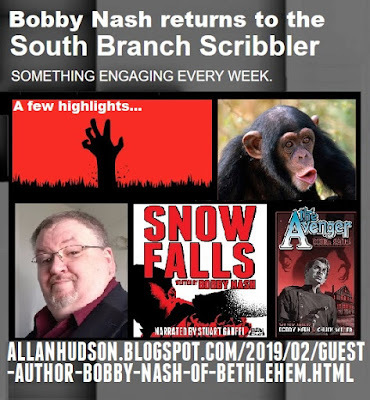 Author Allan Hudson invited BEN Books author, Bobby Nash to return to the South Branch Scribbler for a new 4Q Interview. We talk Snow Falls, The Avenger, BEN Books, horror, thrillers, Patreon, and I relate the story of the time we sorta adopted a monkey when I was a kid. You can also read an excerpt from Snow Falls. You get all of this, free of charge no less, and more HERE. "Thanks again, Allan. That was fun. I don't get to tell the monkey story very often." SNOW FALLS ON AUDIO! AUDIO BOOK NOW AVAILABLE! 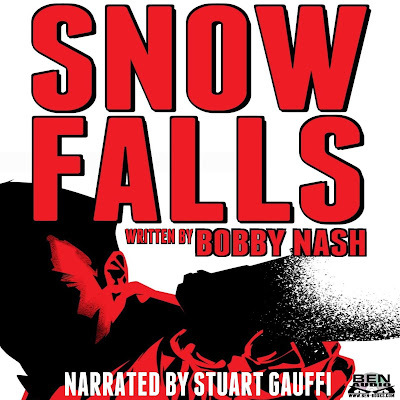 BEN Books is proud to announce the first BEN Books Audio release is now available on Audible with Bobby Nash’s SNOW FALLS as performed by narrator Stuart Gauffi. You can find the Snow Falls audio book at Audible, Amazon, and iTunes. Sometimes, half an inch is all that stands between life and death. Abraham Snow’s career ended with a single shot. Left for dead, the undercover operative barely survived an assassin’s bullet. After a long and painful recovery, Snow retires. He returns home to rest and recuperate only to get swept up in the family business, one just as dangerous as his previous profession. When he thwarts an assassination attempt on a diplomat who endangers his sister, Snow leaps into action to keep his family out of a highly trained killer’s crosshairs. Snow Falls is the first audio book in the continuing adventures of Abraham Snow. 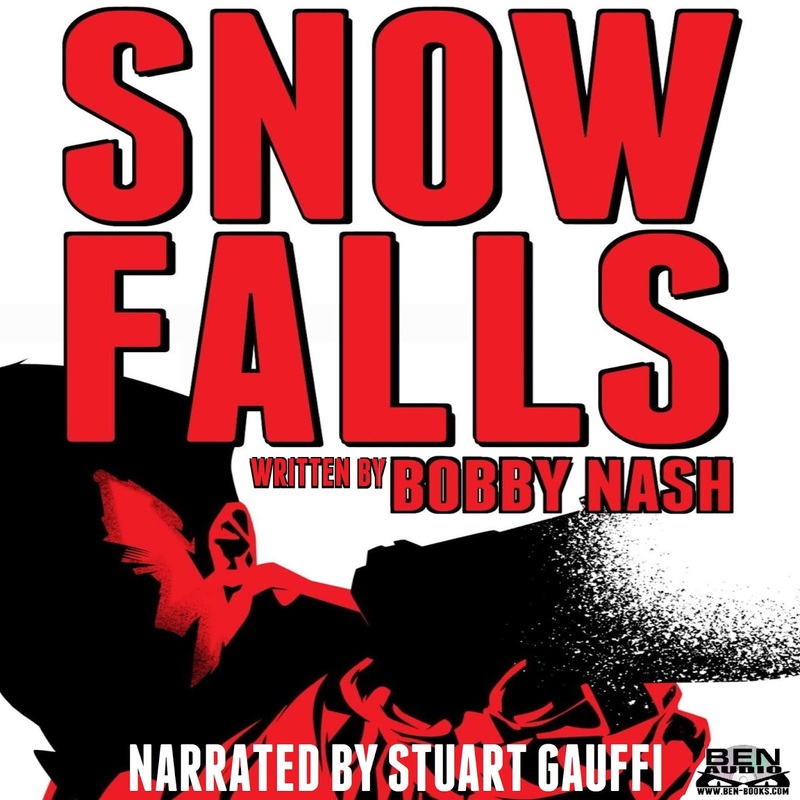 Snow Falls is written by: Bobby Nash and narrated by Stuart Gauffi. Audio book is $6.95. Listen free if you subscribe to Audible today. You can also read the Snow Falls ebook FREE with your Kindle Unlimited subscription. Check out a sample chapter of SNOW FALLS on Youtube. Learn more about SNOW FALLS here. 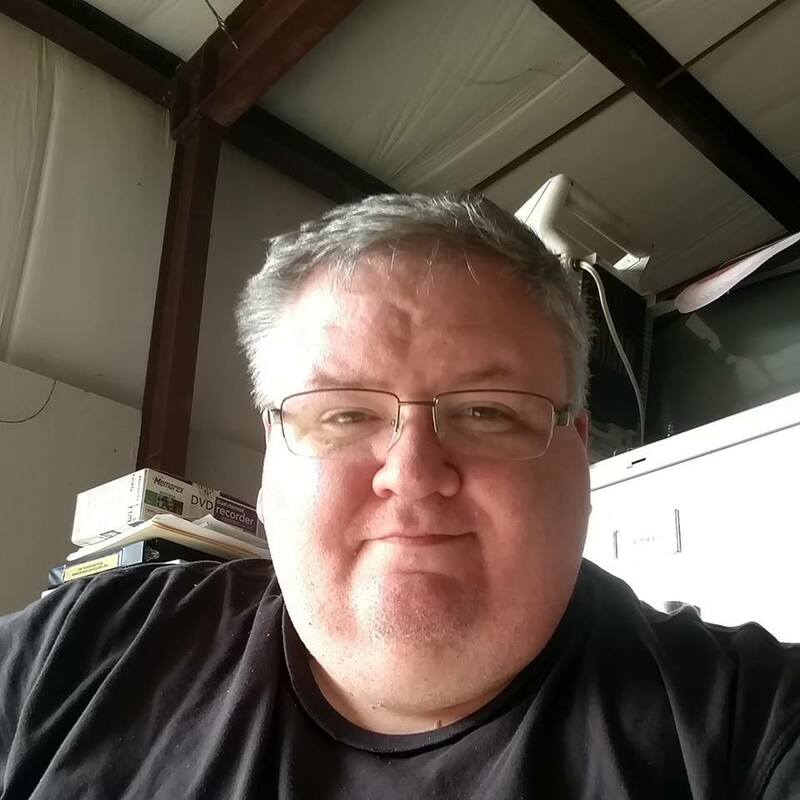 Learn more about Bobby Nash HERE. Learn more about Stuart Gauffi HERE. Listen to Bobby and Stuart discuss SNOW FALLS on the Earth Station One podcast HERE. 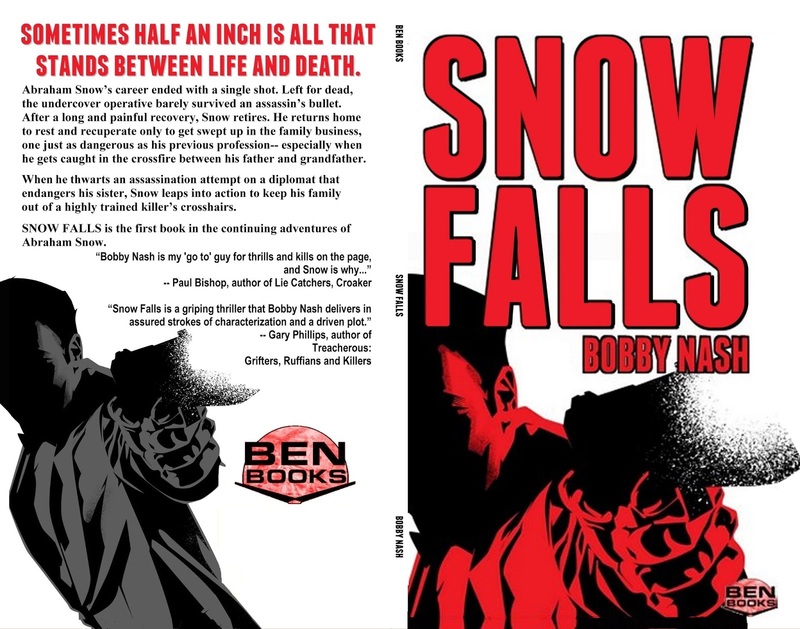 SNOW FALLS audio is published by BEN Books through agreement with ACX. 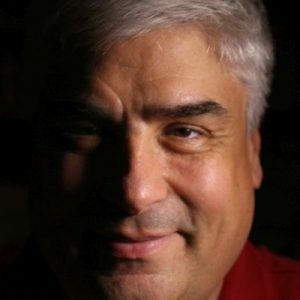 BOBBY NASH'S LIVE VISIT TO THE STAR CHAMBER NOW AVAILABLE AS A PODCAST! I had a great time visiting with co-hosts Michael West and Daniel Dark on episode 151 of The Star Chamber radio show tonight. We had a fun chat about writing, conventions, acting, winning awards, and more. There might have even been a tangent or two taken. If you missed it live, don't worry. You can check out the podcast now HERE! JOIN BOBBY NASH LIVE ON THE STAR CHAMBER FEBRUARY 13TH AT 9 PM EST! LISTEN LIVE! 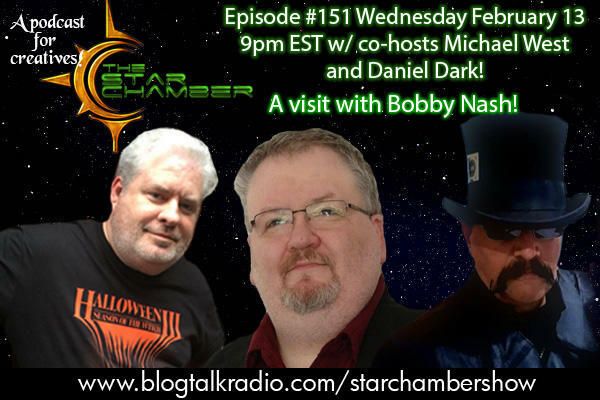 Join me LIVE on Wednesday, February 13th at 9:00 pm EST (I'll be on around 9:15 or so) as The Pulp Factory's own Bobby Nash visits the Star Chamber radio show, episode 151. It will be a great time. Join us live HERE! You can also participate in the chat room as maybe they'll ask me your questions as well. 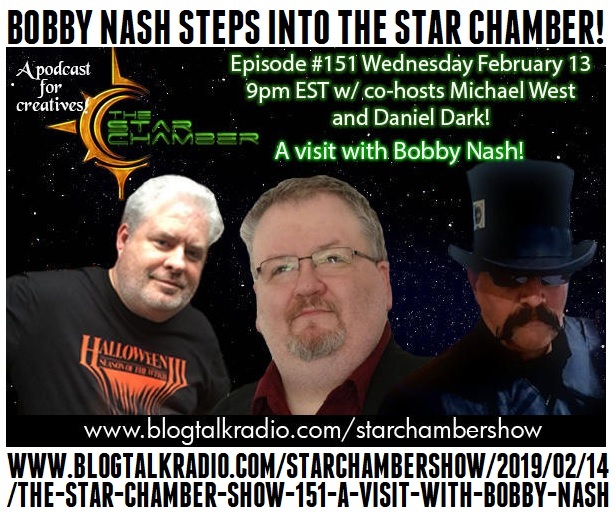 From the Star Chamber site: Award-winning author Bobby Nash will be entering the Star Chamber this Wednesday at 9pm EST for a visit with co-hosts Michael West and Daniel Dark! A writer of novels, comic books, short stories, novellas, graphic novels, an occasional screenplay, Bobby is a prolific writer who is a favorite on the convention circuit! 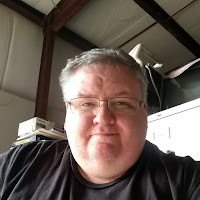 This episode will explore his various spheres of writing, the challenges of indie authors today, running a successful Patreon page, his acting appearances in many TV and film projects, and much more! I hope you'll join us live. During the days of the classic pulps, one of the finest mystery magazines on the stands was 10 DETECTIVE ACES. 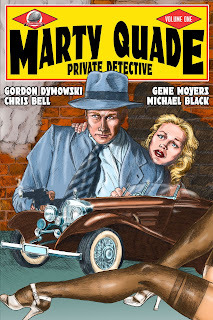 Among the revolving series that appeared in that monthly were the cases of tough guy private eye Marty Quade as written by Emile C. Tepperman whose career went from 1933 to 1942. His most remembered work has been the Purple Invasion Series for Operator 5. Little is known about Mr. Tepperman. He was credited for writing radio broadcasts for programs such as Suspense and Gang Busters. Other than that, his life remains a mystery. Now Airship 27 Productions is thrilled to bring back this classic pulp character in four brand new adventures written by Gordon Dymowski, Chris Bell, Gene Moyers and Michael Black. From a missing pulp writer to spies on a military base, gumshoe Quade finds himself knee deep in hot dames, flying fists, and lethal lead. But Quade is no ordinary shamus, with both a quick wit and street-smart survival skills; he almost always solves the case. Brian Loner provides 12 black and white interior illustrations while Airship 27 Productions’ own award Winning Art Director, Rob Davis, the cover, which is our homage to that old classic pulp mag. Now available on Amazon and soon on Kindle. 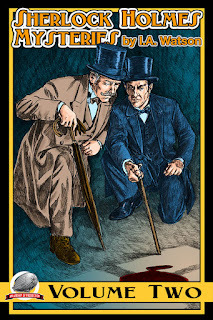 Airship 27 Productions is thrilled to offer our Sherlock Holmes reader the second Kindle Only collection penned by writer I.A. Watson. 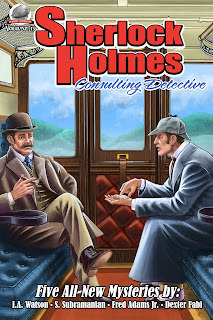 These tales are reprinted from the best selling paperback series “Sherlock Holmes Consulting Detectives” Vol 7 through Vol 12, plus a bonus tale not yet published as a bonus. Written as Arthur Conan Doyle wrote of the Great Detective the stories here are fair-play mysteries with no ghosts, goblins, aliens or otherwise outrageous characters that cannot be explained with reason and deduction. Enjoy these tales collected in one volume for the first time as award-winning writer I.A. Watson regales you with the adventures of the greatest consulting detective of all time.